On November 1, 2018, the opening ceremony of the World Weightlifting Championship was held in Ashgabat. This event has become a new evidence of the transformation of the Turkmen capital into a recognized international sports center. The venue for the solemn ceremony was the Gaming Sports Complex, which is part of the infrastructure of the capital's Olympic Town. In a solemn atmosphere, the soldiers of the Guard of Honor carried the State Flag of Turkmenistan to the arena. The National Anthem of Turkmenistan was performed. Then a colorful theatrical literary and musical performance took place in the arena of the sports complex. At the end of the laser-light show, the ceremony continued with the carrying the State flags of the countries participating in the world championship, which appear in the arena in alphabetical order. By tradition, this kind of parade closes the national flag of the host country of the championship - Turkmenistan. Then the President’s address to the participants of the world weightlifting championship is read in a solemn atmosphere. The greeting of the head of state was heard with great enthusiasm and greeted with applause. Then the floor was given to President of the International Weightlifting Federation (IWF) Tamas Ayan, who, addressing the audience, stressed that he was glad to see everyone in Ashgabat, the beautiful capital of Turkmenistan, at the opening ceremony of the World Weightlifting Championship - 2018. After emphasizing that optimal conditions have been created for holding this tournament, including excellent sports facilities; on behalf of the IWF, Tamas Ayan thanked the President of Turkmenistan for his great support and significant contribution into the development of weightlifting. Then the World Weightlifting Championship is announced open. 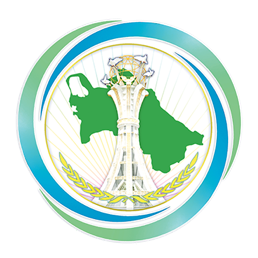 The song “Forward, only forward, beloved Motherland - Turkmenistan!”, written by President Gurbanguly Berdimuhamedov, became a bright final chord of the sports festival. In honor of the opening of the World Weightlifting Championship in a bowl built over the head of a giant horse that adorns the dome of the capital's Olympic Stadium, fire once again flashed as a symbol of the triumph of sport, peace and friendship.